Before they made SOMA, Frictional Games crafted a different kind of tale. If you wanted to be hunted down by otherworldly creatures and spooky terrors this Halloween, you have a classic option to try out. The Amnesia video games, popularized by YouTube Let’s Players and their scare-cams, is getting a PS4 console release that puts all three of the official titles together in one experience. Together in this collection, you get the three main Amnesia games. 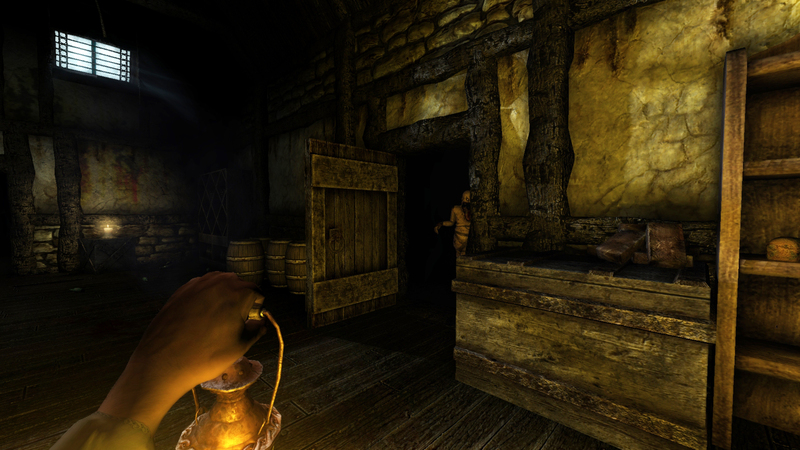 From the original 2010 Amnesia: The Dark Descent that started it all – putting you in the role of Daniel from Mayfair, who erased his own memory and is on a quest to kill the Baron of the manor. Next was the 2011 Amensia: Justine expansion pack, that takes you on the journey of a female protagonist who is forced to undergo gruesome psychological tests, and is being hunted by the past victims who didn’t survive the challenges. Lastly, this package has the 2013 Amnesia: A Machine for Pigs sequel that was developed by The Chinese Room. This game has Oswald Mandus trying to stop a machine he created from killing his sons, and trying to make sense of the memory loss he had after falling ill upon returning from his trip to Mexico. Amnesia: Collection is set to release on November 22nd for PS4. To learn more about the game, check out the developer’s website, Twitter, and Facebook.